It is true when we are told lighting is one of the most important parts of any room. Whether a statement pendant or multiple table lamps. We love well designed simple lighting with favourite stores including bhs.com, johnlewis.com and made.com. Our pick this week is the Zane cluster pendant light, perfect for a dining room or living room. Available in chrome or copper the 5 slick pendants hang in a group with exposed bulbs making for a striking addition to a room. This year materials become luxurious and opulent with velvet having the biggest influence on designs. More and more velvet is seen in stores on cushions, furniture and soft furnishings. 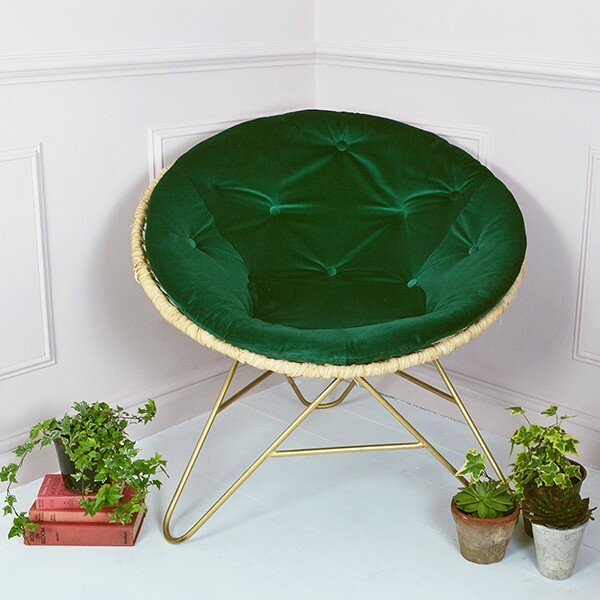 There are are some gorgeous sofas and chairs available bringing a seventies vibe with the soft tactile material. 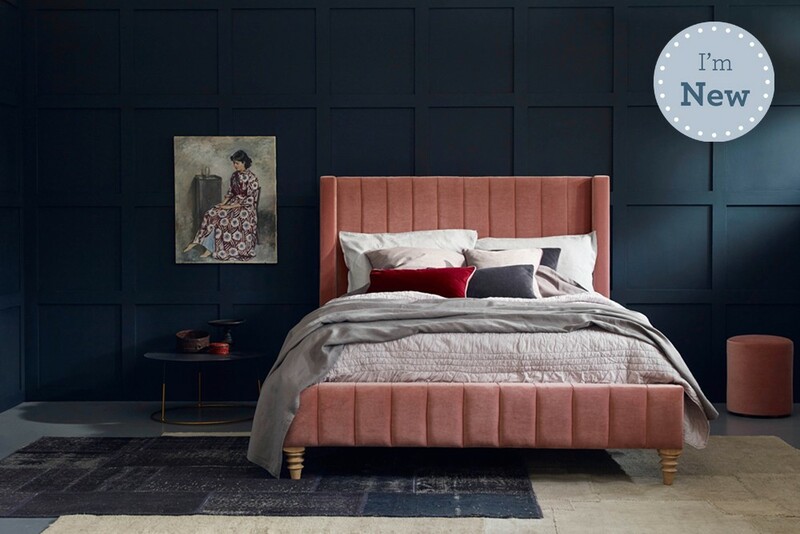 But it doesn’t end there, as velvet is making a comeback in the bedroom, with sumptuous padded headboards and throws. Sofas are the core piece of furniture to any room, it’s the place to relax and converse so you want it to be as comfortable as possible. What better material to choose than a soft velvet and to really show it off go for a bright colour. Jewel tones look more vibrant in velvet and opting for green, dark purples and blue bring a richer feel and would look great in both dark and light interiors. Velvet also looks great in softer tones like dusty pink, cream and light grey. For a more subtle introduction to velvet how about a lamp shade or cushion. A simple drum shade can bring to life an old light or be a great addition to a new one. Velvet cushions are everywhere at the moment in all colours and prints, meaning you can give a little update to a room; finding ones that fit without changing your space.